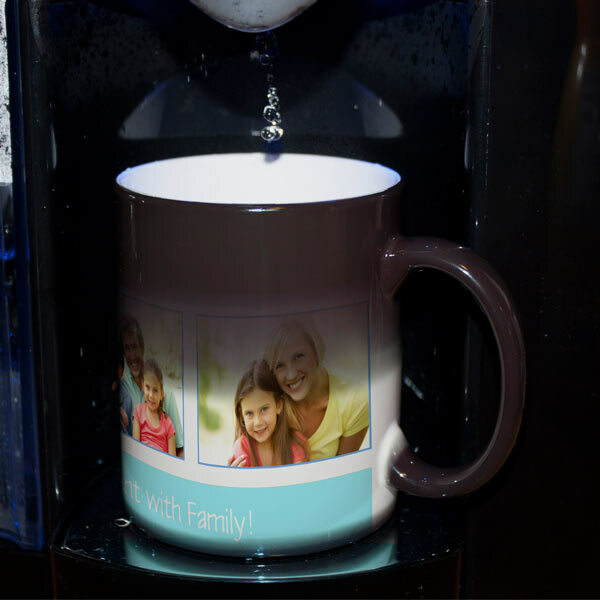 Create a custom mug that will make you feel like a kid again each morning when you enjoy your tea or coffee. 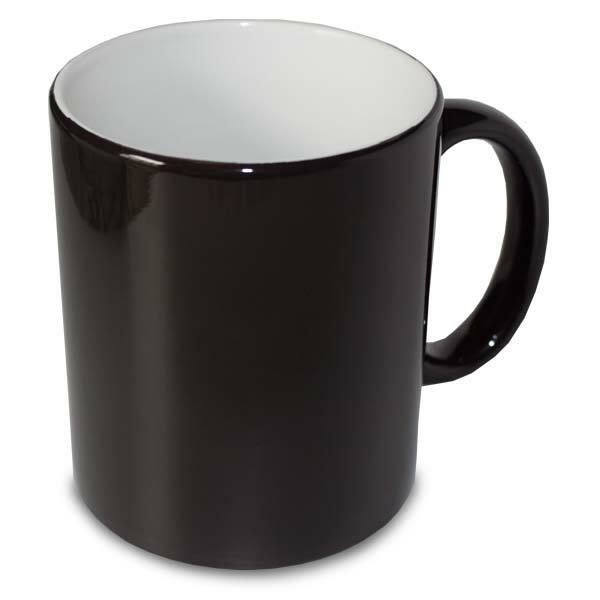 Our all black color "Magic Mug" magically changes when you add a hot liquid, so what may appear to be an ordinary black mug magically shows your photos and personalized greeting when in use. 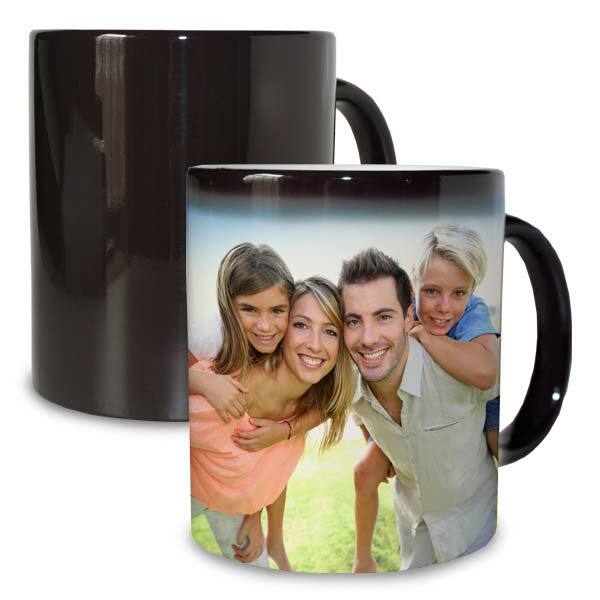 Amaze friends and family and show off your color changing Black Magic Photo Mug again and again!